April 22 (Bloomberg) — Chris Robinson, a startup entrepreneur, has never built a boat before and he admits that a tsunami is unlikely to hit his home in Silicon Valley. 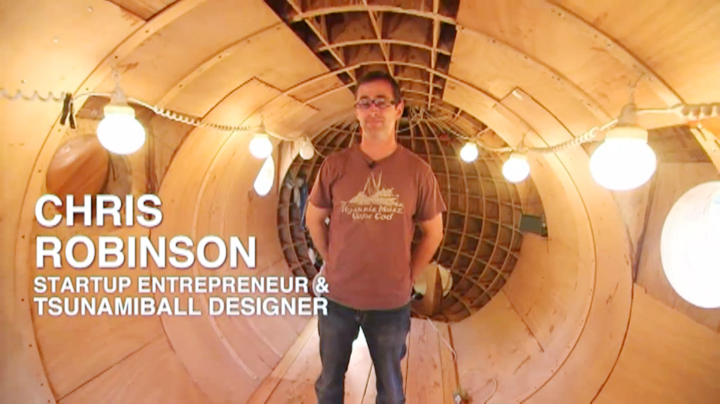 But he has spent the past two years building a 22-foot-long, 8.5-foot-high, 10-foot wide tidal wave-proof pod made of plywood and epoxy in his backyard. Bloomberg heads to Palo Alto to check out his progress.